FeelNYC with the Big Apple BBQ Block Party 2012. 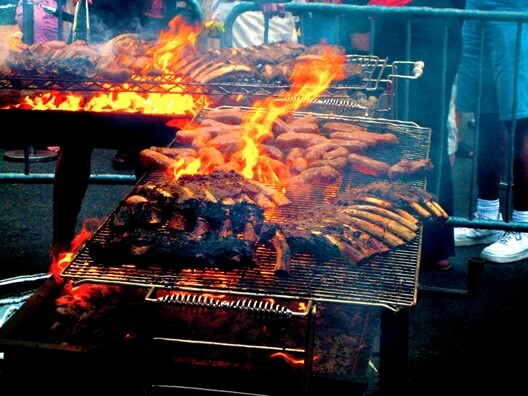 The 10th edition of this sizzling southern-style barbecue festival will be taking place once again this 2012 in Madison Square Park over the weekend of the 9th and 10th of June. The New York BBQ Block Party comprises a major barbecue and music celebration, which has successfully allured around 120,000 hungry visitors to New York every year to get a taste of the mean cuisine cooked up by 18 of the country’s best pitmasters (BBQ chefs). 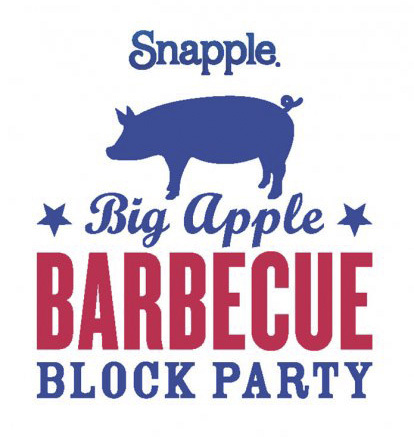 Just like every year, this 2012 they will be cooking up a large variety of barbecue items and styles including pulled pork sandwiches, brisket, sausages and ribs, in addition to southern side dishes and tasty desserts. A beer garden will be on site as well in case you get a bit thirsty. Fastpasses are available, which will give you, and one guest, exclusive access to express lines throughout the entire weekend. In addition, with these passes (selling for 125 dollars) you will also get 100 dollars value of food, beverages and merchandise. Alongside all the juicy barbecue on offer, visitors to the event can expect barbecue seminars, cooking demos, giveaways and live music performances including R & B, jazz, blues and bluegrass to accompany your sausages. Finally, there will be a merchandise tent where you can purchase a range of souvenirs including cookbooks, t-shirts and sauces, etc. Outstanding! All proceeds of the event go to the Madison Square Park Conservancy, in charge of maintaining this historic park, thus you can indulge a little (or a lot), safe in the knowledge that your money is going to a worthy cause. FeelNYC and bon appetit! Where: Madison Square Park. When: 9th and 10th of June from 10am to 6pm. Directions: Subway 6, N or R train to 23rd Street, Manhattan. Price: Free entrance. 8 dollars a plate. Desserts and beverages from 2- 6 dollars. Fastpasses 125 dollars. Only cash (or fastpasses) is accepted.